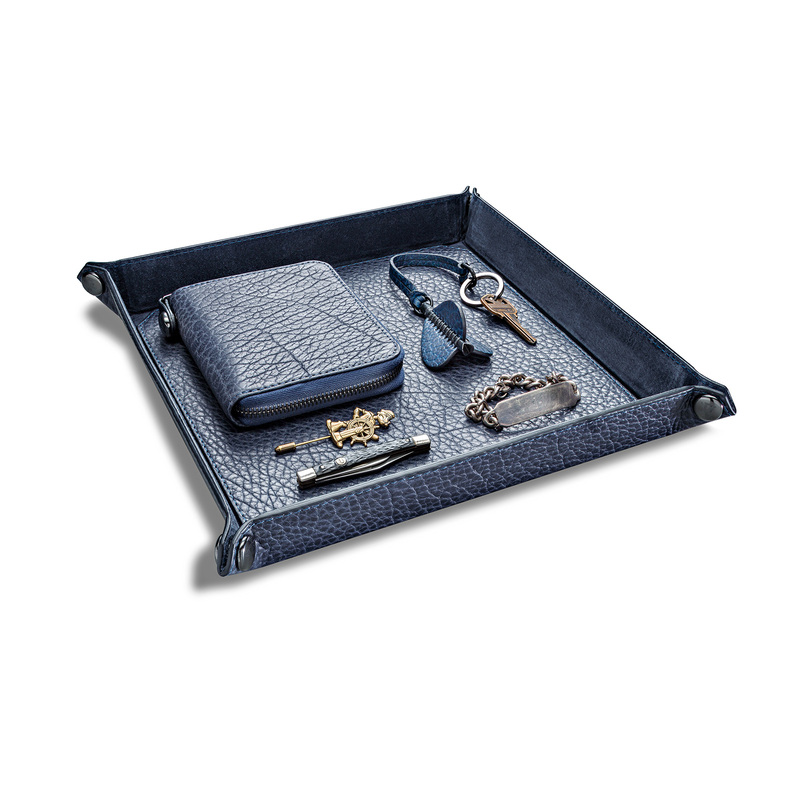 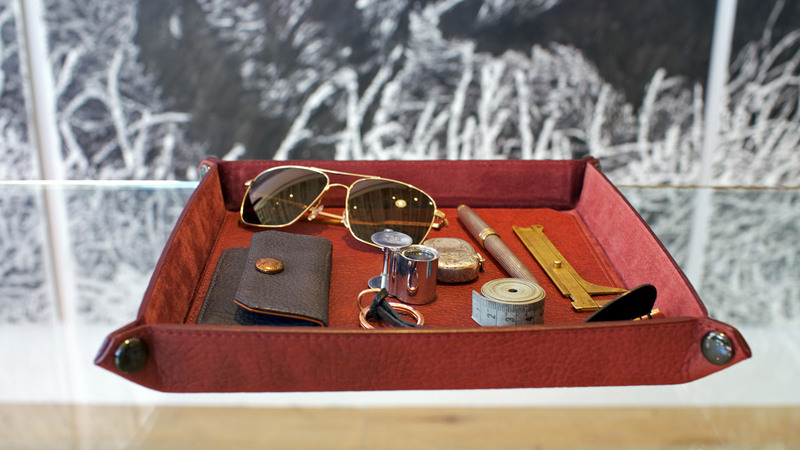 Daily accessories are neatly and elegantly stored in our Parabellum Valet Tray, a collapsible accouterment ideal for home or travel. 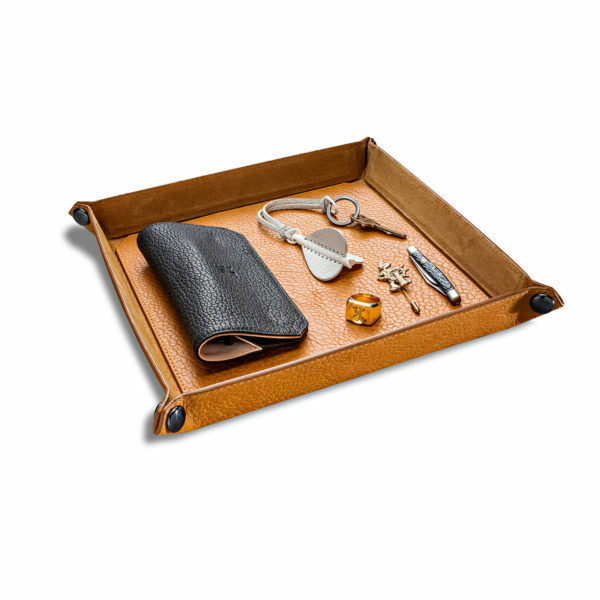 The organizational piece features snap corners, a custom slim twill dust bag, and a removable tray, thoughtfully backed in suede for use when storing more delicate incidentals. 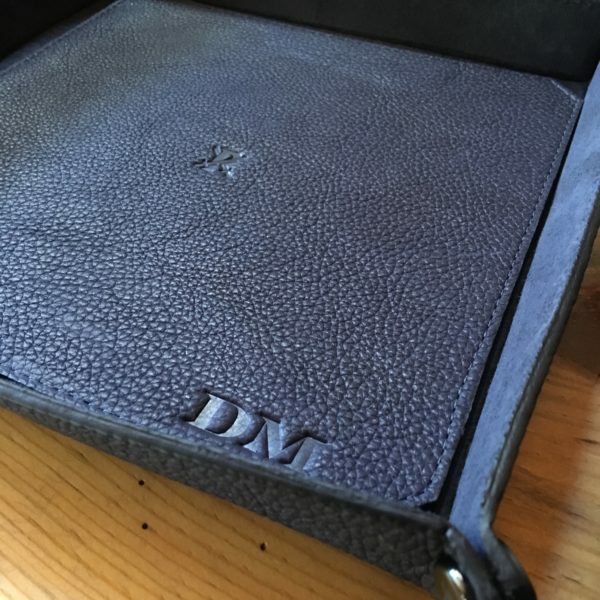 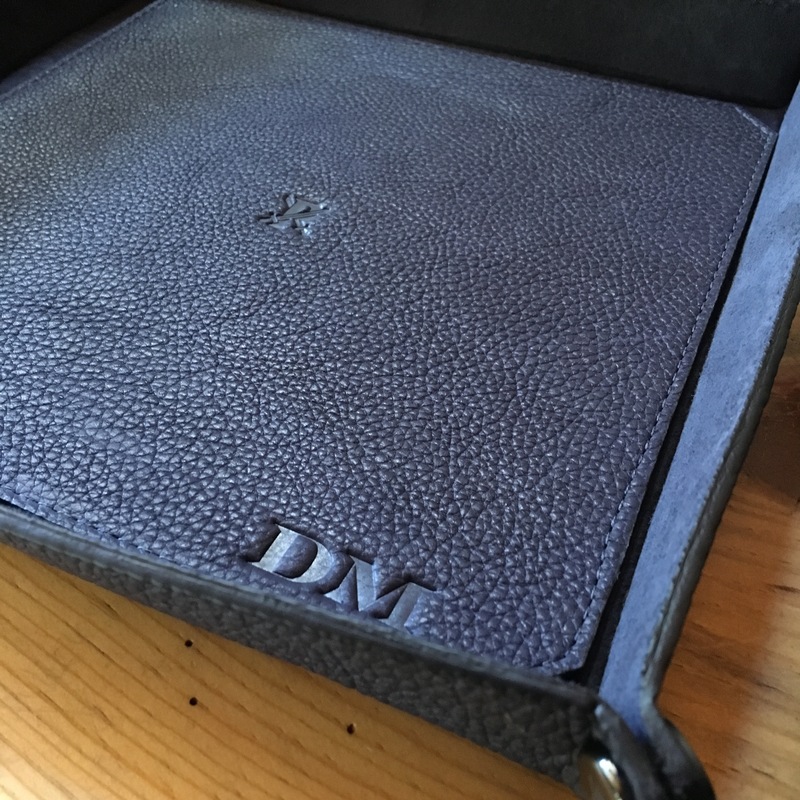 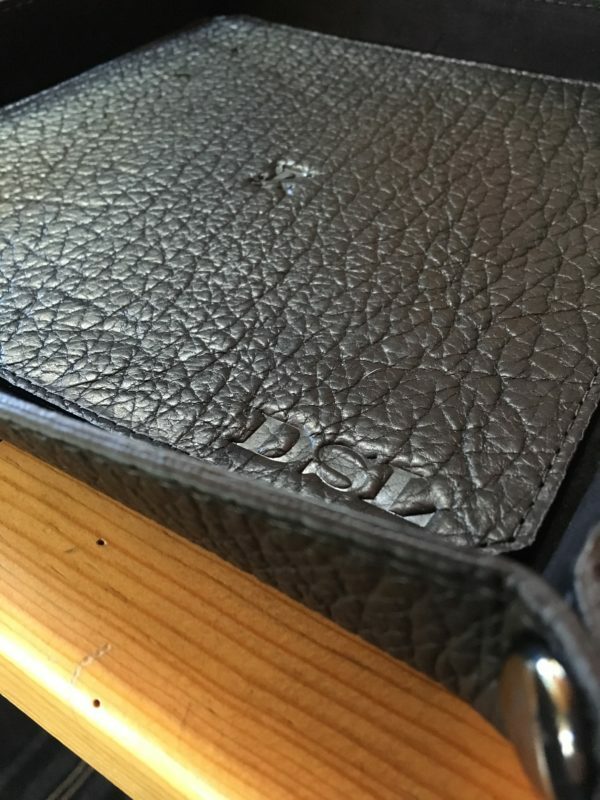 Constructed in our incredibly complicated and richly textured bison leather, our handmade Parabellum Valet Tray elevates the classic accessory beyond basic functionality to exquisite artisanship.